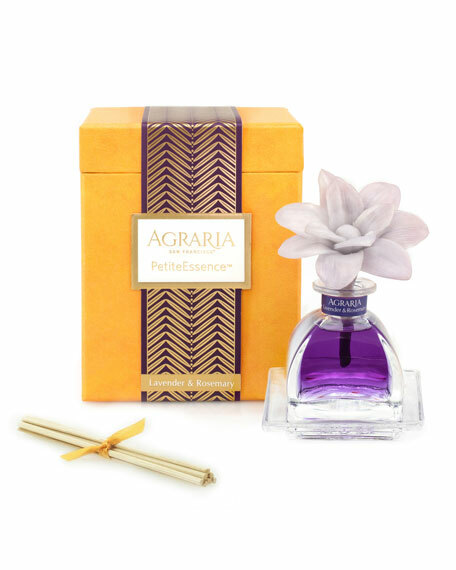 Agraria Lavender Rosemary PetitEssence Diffuser, 1.7 oz. AgrariaLavender Rosemary PetitEssence Diffuser, 1.7 oz. A blend of French Lavender and Italian Rosemary enriched with the zest of Bergamot and a few drops of English Amber.